Here are some articles and links from around the travel world that came across my desk this week. If you have any questions or suggestions, leave them in the comments, post them on our Facebook page or send them my way on Twitter. 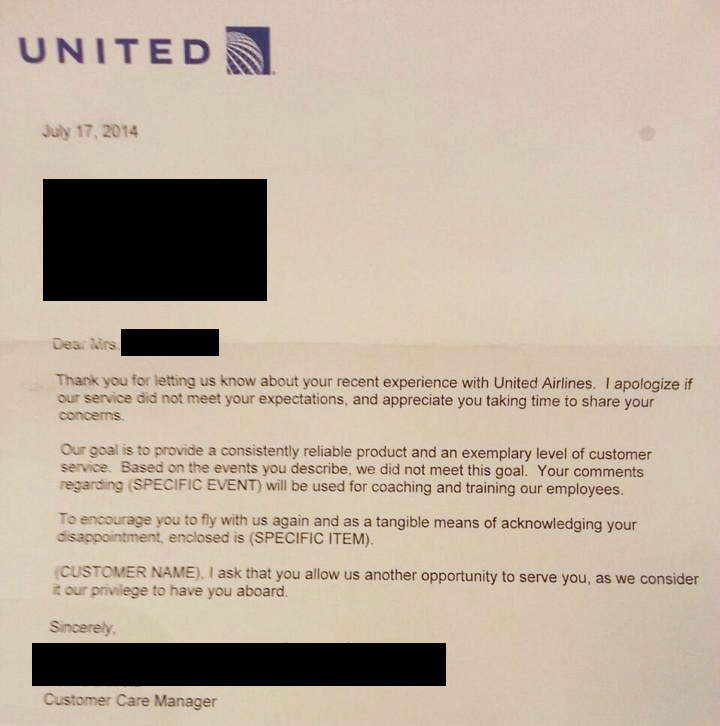 United Airlines may have recently sent out their usual apology letter to a customer without putting in the details. Although unconfirmed by the airline, the (NONSPECIFIC) letter has made its way around the internet as a textbook example of bad customer service. Hurricanes Iselle and Julio are on their way towards the Hawaiian Islands, and if their plans are interrupting your plans to visit our 50th state, no worries – the airlines have you covered. This Mashable article has a good rundown on what specific airlines are doing to accommodate passengers who have scheduled flights in the next few days. As always, it’s a good idea to call the airline yourself to reschedule. We all get a little stressed at work, but it’s never a good idea to take it out on others. In this captured audio from the ATL runway, a pilot demonstrates the incorrect way to start your day. United Airlines has become the first U.S. carrier to check-in for their international flights early by scanning their passports. United’s iOS and Android apps can now scan your document (and save it for future trips), allowing you to get your international boarding passes up to 24 hours before your trip. If your travels require a visa to enter the country, you will still need to present those at the airport.